In his first days in office, Donald Trump has made a point of censoring and restricting what the National Park Service can and cannot say on its various official Twitter accounts. After the NPS tweeted photos of Trump’s small inauguration crowd, he temporarily suspended its Twitter privileges. And when the Badlands tweeted about climate change today, those tweets were then deleted. But now some unnamed individuals within the National Park Service have created an unofficial Twitter account that Trump can’t touch. Trump doesn’t have the ability to shut down a Twitter account, or to suspend it from being usable; only Twitter the company would be able to do that. Instead he’s been sabotaging the National Park Service Twitter accounts by presumably threatening to fire people if they dare to tweet things he doesn’t like, or if they tweet during times when he’s put them in the penalty box. But he can only do that if he knows who’s tweeting. When it comes to official Park Service accounts like @NatlParkService or @BadlandsNPS, specific employees have access to those accounts, so it’s easy for Trump to know who’s posting any tweets he doesn’t like — and whom to punish. So instead, Park Service employees whose identities are unknown have created an unofficial Twitter account at @AltNatParkSer. The unofficial National Park Service account started six hours ago by reposting the Badlands tweets that had been deleted. It’s since continued posting all the climate change data it can find, and it’s been documenting Trump’s strange attempts at cracking down on the official accounts. This unofficial Twitter account has quickly gained ninety thousand followers (likely a lot more by the time you’re reading this), as Americans are flocking to the account to keep up with the real National Park Service news. Best of all, as long as Donald Trump can’t figure out who at the Park Service is doing the unofficial tweeting, he can’t punish the employees behind it. And Twitter the company has shown a history of not sharing this kind of information. So there’s probably nothing Trump can do. 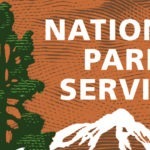 You can follow the unofficial National Park Service Twitter account here.